What does Napoleon Hill want us to learn from adversity? | Sarder TV – Learning Ideas. You are at:Home»Business»What does Napoleon Hill want us to learn from adversity? 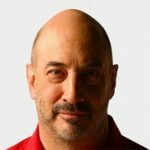 Jeffrey Gitomer explains Napoleon Hill’s belief that adversity and bad things that happen are really blessings in disguise. He talks about Hill’s philosophy that we can always learn from failure and there are ways to turn failure into success. Gitomer discusses why he believes his annotations and lesson plans that he has added to each of Hill’s chapters provide ways to put ideas into practice. Previous VideoHow does having character, sincerity & self-confidence increase the opportunity for improved sales? Next Video What was Napoleon Hill’s belief around the use of time?